In 2016 the ABUN group decided to contribute to the protection of Romanian bats, by creating superb artworks. During 2016-2017, by funding from EUROBATS and the in-kind contribution of the Romanian Bat Protection Association, we implemented the project “The Carol line: assessing the importance of 150+ deserted bunkers for the conservation of the Romanian-Hungarian cross-border bat fauna”. The project team, composed of Szilárd Bücs, Csaba Jére, István Csősz and Levente Barti conducted the first survey of the Carol fortified line and adjacent habitats, for the presence of bats. Photo gallery dedicated to the winner of the 2017 “Bat of the year” competition in Romania: the brown long-eared bat (Plecotus auritus). 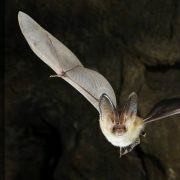 Bat of the year in Romania (ed. 2017). The competition was very tight, and the winning species obtained 150 out of the 412 votes. 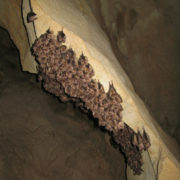 Bats prefer constant temperature and disturbance free environments. 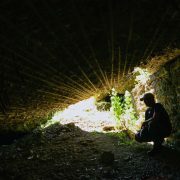 Such conditions are most often found in caves, potholes or other underground spaces, such as abandoned mines. 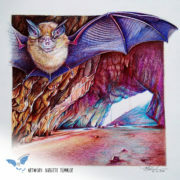 We discovered the phenomenal illustrations about the bats of Arizona by Robert J. 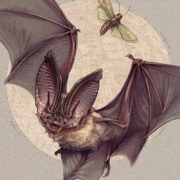 Long in an online article about the “night shift”, referring to the work of bats. 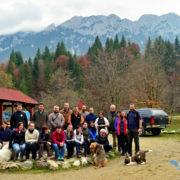 We organized the 2nd Romanian Bat Research Conference in the Dianthus refuge at Plaiul-Foii (Braşov county) in the period 28-30 October 2016. Merlin’s bats are colorful and phenomenal. 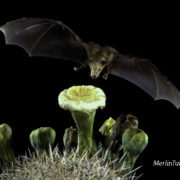 Merlin is a world-class expert in bats, but also one of the most prominent photographers of these unique animals. He is also the founder of Bat Conservation International.